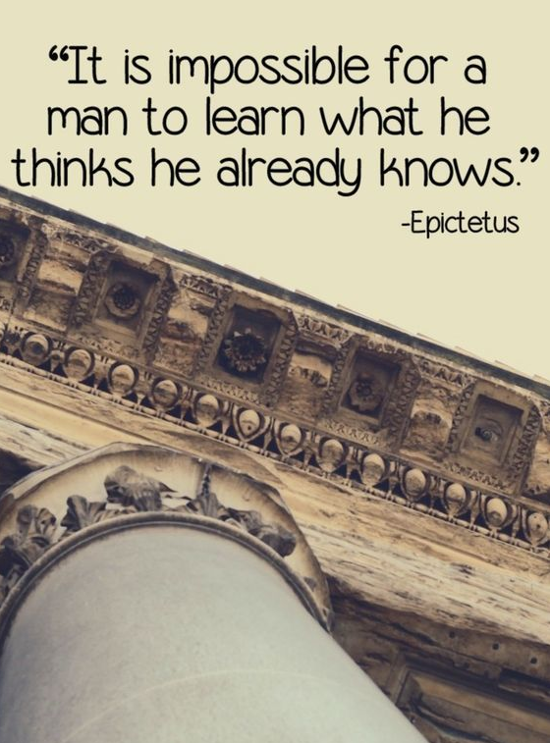 There is hardly anything worse for impeding the ability to learn than the insistence in believing what we already know. In order to learn, you have to be willing to set aside what you think you know, to examine things in the light of not knowing, and be open to the possibility of being wrong. If you believe you already have the answers, you are likely to close your eyes to anything that contradicts those answers, maybe even subconsciously. It's human nature. We don't like to be wrong, but accepting that possibility is the best way to learn.